One of the two scheduled rally events for this day was a visit to nearby Chestnut Hill, TN and the original home of Bush Brothers & Co (Bush’s beans) and after living here for many years and driving past it many times, we decided it was time to pay them a visit. Bush’s is a family owned company that began in 1905 when AJ Bush began canning tomatoes for Stokley Van Camp located in nearby Newport, TN. While the Tennessee Travelers Rally in Stone Mountain had one more day to go, we bid farewell to the group and headed for Sevierville, TN so we could be there for the first day of our first ever Thor Rally. Our Tuscany (coach) is made by Thor and we have been wanting to attend one of their rallies to meet and talk with other coach owners, but it has never worked out for us until now. The five hour drive from Stone Mountain to Sevierville, Tn was thankfully uneventful and we arrived at River Plantation RV Resort around 2:30, got set up, and checked in for the rally. As with the place in Pine Mountain, I would not call this an RV Resort but it is a nice campground. Here are some shots of the campground and our site #166. Our last day in Stone Mountain began with a fine plan that was soon altered when we discovered there was to be a throng at the park protesting the carving on the mountain. We had originally planned supper, but to insure we had plenty of time before the evening’s festivities, we decided to do lunch at the Metro Café Diner (seems like saying the Metro Restaurant Restaurant to me) – I got a shot of our group and just had to take one of Bev’s Gyro Platter as it was a huge plate of food and the gyro was delicious. Our first day in Stone Mountain was devoted to driving around the park and the adjacent village of Stone Mountain, GA. After seeing what many towns near tourist attractions have become, I was expecting a very nice, touristy downtown but that was not the case. While there were a few shops, none of the village center looked prosperous and there were several empty buildings. Knowing nothing about the economics of the area, I can’t say why it has not been highly improved, but it looks like a missed opportunity to me. The Stone Mountain Theme Park, on the other hand, has done the opposite and gone from being just a unique mountain that folks visited and walked to the top of to a destination resort. The mountain itself was formed about 365 million years ago along with the Blue Ridge Mountains. It is over five miles around the base and 825 feet above the surrounding area (1686 feet above sea level) and composed mainly of quartz and granite. Our final day in Pine Mountain area included a visit to Warm Springs where some visited FDR’s Little White House, hit the few shops in town, drove through the FDR State Park and ate lunch at the Bulloch House. This is the outside of the restaurant which severed one of the better buffets I’ve had – the food was just your southern basics but it was prepared well and even the fried chicken was moist and tender. There was nothing planned on Day 3 until supper so the girls went shopping in Pine Mountain and I dog sat. With the nearby Callaway Gardens & FDR State Park, to attract visitors, downtown Pine Mountain has turned itself into a nearly pure tourist town with most of the buildings in town occupied by either a shop or a restaurant and at least one bakery. Bev and Pat probably spent six or seven hours doing the town and we liked all of the restaurants we ate at including the Country Kitchen at Callaway Gardens. 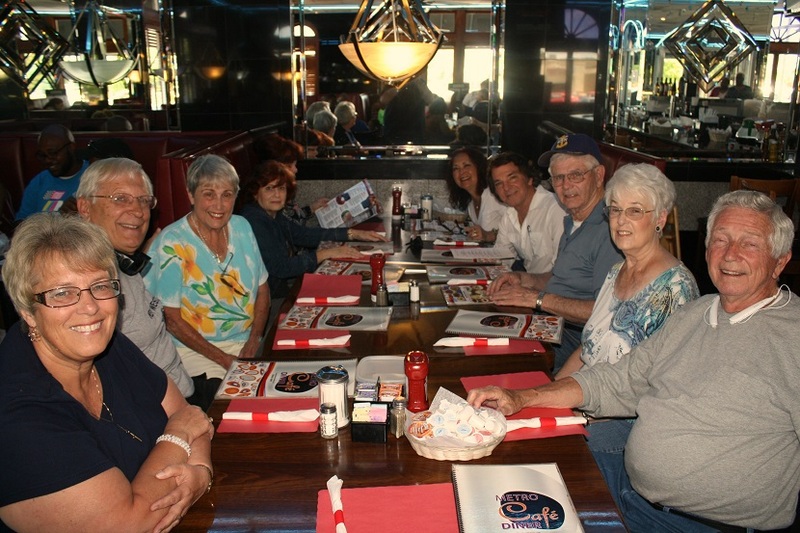 This is our group about to enjoy some good ole southern cookin – most fried of course (catfish for me). Our first full day in Pine Mountain, we went up the road a couple of miles to the Wild Animal Safari which is a 500+ acre drive-thru animal park with around 600 animals. Having done one of these places near home in our car, I was relieved when the group decided to go on the bus for a narrated tour and spare the car the giant slobbering that it would have received from the animals. The vast majority of the animals were grazers that roamed freely through the park, with the exceptions being three lions in a large cage and a rhino and a camel that were in fenced areas as they are not really car friendly. Lot's of photos follow. Our second RV trip of 2016 is underway (the first one was on January) to Pine Mountain, Ga, about 40 miles north of Columbus and 100 miles southwest of Atlanta. 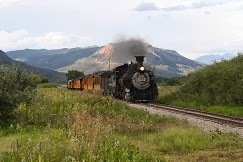 We normally travel the interstates but I’ve been reading from lots of people about the joys of traveling the back roads and since we were not pressed for time, we used US-411 and US-27 to get there. The route worked well and I enjoyed the more leisurely drive and missing Atlanta. The only negative was the traffic lights on a 55 mph road that all seemed to be at the bottom of a hill resulting in smelly brakes a couple of times. This trip was part of a two stop rally put on by the Tennessee Travelers Chapter of FMCA, of which we’ve been members about three years. We enjoy getting together with these folks and the rallies give us a reason to make short camping trips several times a year. Our first stop was at Pine Mountain RV Resort but it is a bit of a stretch to call it a resort as it was really just a decent campground. This is the entrance area. I’m not sure what strikes Bev to want certain things to eat, but first it was chicken pepperoni, then cabbage rolls and now it’s Italian Beef Sandwiches, which I had not thought about in a long time. Anyway, I went on the net and found several recipes selecting this one because it was specifically for the slow cooker and what is shown below is scaled down for the roast size we had and amended just a little. *The spices are all a rounded ½ tsp. 1. Combine water with salt, ground black pepper, oregano, basil, onion salt, parsley, garlic powder, bay leaf, salad dressing mix, and beef base in a saucepan. Stir well, and bring to a boil. 2. Place roast in slow cooker, and pour salad dressing mixture over the meat. 3.Cover, and cook on Low for 10 to 12 hours, or on High for 6 to 7 hours. When done, remove bay leaf, shred meat with a fork and add back to the juice. 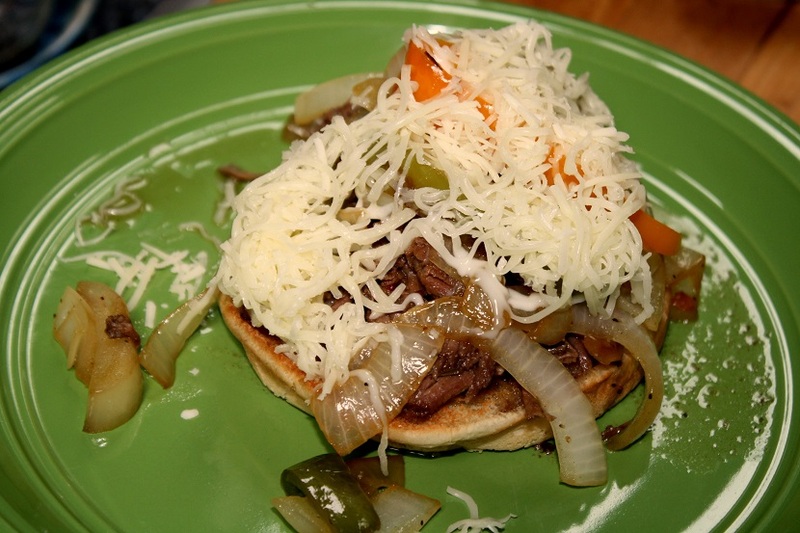 According to the web, the sandwiches are served topped with a variety of things, but we opted for just sautéed peppers & onions and shredded mozzarella. The store didn’t have hoagie rolls so we just used some sandwich buns which were soft so I opted for open faced. The cheese melted by the time I got it to the table, but I forgot to lay a slice of hot pepper cheese on the bread for a little extra flavor. All five of us thought it was delicious and a keeper recipe, especially since it was so easy to make. We were having a cold Saturday and Bev decided it was perfect weather for cabbage rolls, but after discussing we decided they were a lot of work and maybe we could make the same dish as a casserole. So I went on line looking for recipes and liked one for Deconstructed Stuffed Cabbage Casserole from Kalyn’s Kitchen but I preferred Emeril’s recipe for cabbage roll stuffing so we combined the two, scaled it for the meat we had and threw in another ingredient - my cousin always adds some sour kraut to her sauce when she makes them. We were making extra so we would have a casserole for dinner, one to freeze for our upcoming RV trip, and one for a friend. For a normal recipe, divide everything by three. 1. Preheat oven to 350F. Spray two large glass or crockery casserole dishs (9x13) with non-stick spray. 2. Heat 1-2 tbsp. olive oil in a large stock pot, add ground beef and cook until it's done and nicely browned, breaking apart as it cooks. Remove ground beef to a bowl. 3. In the same pan, add a little more olive oil if needed, then add chopped onion and cook over medium heat until the onion is translucent and starting to brown, about 5 minutes. Add the minced garlic, Essence, S&P and cook about 2 minutes more. Then add the diced tomatoes with juice and ground beef. Let mixture simmer until it's hot and slightly thickened, about 30 minutes. 4. While the meat mixture simmers, cut cabbage in half, cut out the core, and remove any wilted outer leaves, and then chop the cabbage coarsely into pieces. (They don't have to be all the same size. I chopped it into pieces that varied from 1/2 inch to 1 1/2 inches.) Heat about 1 tbsp. olive oil in another large pan with high sides, add the cabbage and cook over medium-high heat until the cabbage is wilted and about half cooked, turning it over several times so it all wilts and cooks - we used a lid for about 3/4 of the process. 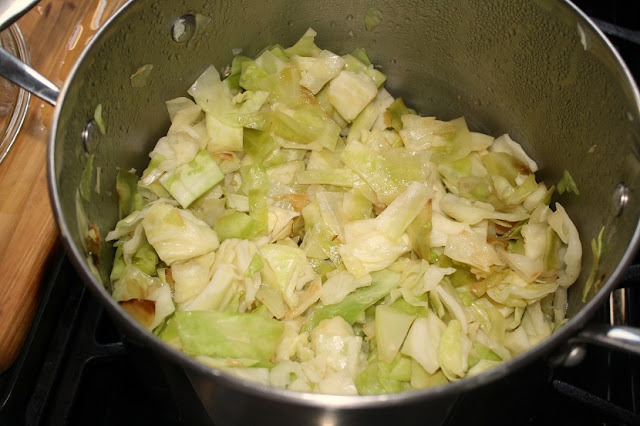 Season cabbage with salt and fresh-ground black pepper. For this month’s wine group, the hosts selected a Hawaiian theme and provided the main course of Huli Huli Chicken with the rest of us providing the remainder of the meal. 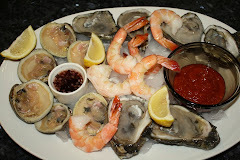 To go with the chicken we had a salad, rice, dessert, and Bev & I provided the appetizer. 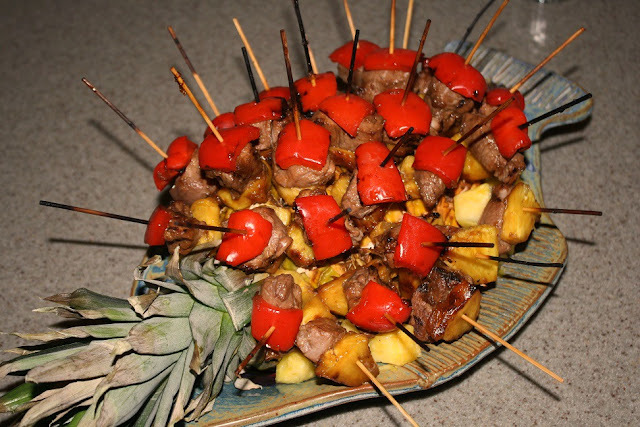 When I think of Hawaiian food, the things that come to my mind are pork and pineapple so after checking the internet and asking a few folks for suggestions, we opted for small kebabs. We wanted something we could make ahead and at home, keep warm, and make into an interesting presentation and we found this easy recipe on line and it's shown below as written. I pretty well followed it but I used enough of everything for 30 small kebabs (one piece each of pepper, pork, and pineapple) and a triple recipe of sauce. I used smaller pieces so that all three items could be eaten from the skewer together. Remove pork from bag, reserving marinade. Discard bay leaf. Thread 4 pork cubes, 4 pineapple cubes, and 4 bell pepper pieces alternately onto each of 2 (10-inch) skewers. Prepare grill. Place kebabs on grill rack coated with cooking spray, and cook to a meat temp of 140F, turning and basting frequently with reserved marinade. Wrap in foil and place in a 145F oven to keep warm until ready to serve. We elected to cut off a third of a pineapple and stick the kebabs in the remainder of it to serve. 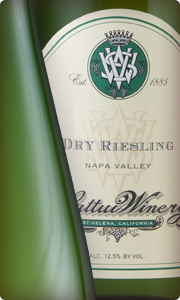 For our wine we served a V. Sattui Dry Riesling that seemed to go well with the kebabs. The kebabs received very favorable comments and the ten of us ate all but two them. They worked very well for this event as they were still a little warm when we served them about an hour after removing them from the oven and wrapping in a thick towel to transport. All of the dishes and wines were very good and, as always, it was a great way to spend an evening. 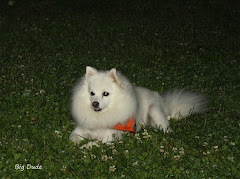 On a sad note, SIL Pat’s dog, Willie, passed away Tuesday night while at the vets for an unknown illness. It is very sad for Pat to lose her companion of 12 years. 1. Heat a large, ovenproof skillet over medium-high heat with 2 tablespoons of olive oil, 2 turns of the pan. Season chicken with salt and pepper on both sides then add to hot pan. 2. Brown on both sides then remove to a plate and cover to keep warm. 3. Add another turn of olive oil to the pan along with the onion, garlic, pepper, oregano, salt and pepper; stir 2-3 minutes. 4. Add tomato paste and stir a minute; add pepperoni and stir again. 5. Add wine and scrape up drippings; add tomatoes, rotel, and basil. Simmer 20 minutes. 6. Preheat broiler (500F) and place a rack in the center of the oven. 7. Arrange chicken in the sauce so it’s submerged, top with mozzarella and transfer skillet to the oven. Let brown and bubble, remove and top with a few additional leaves of basil. Serve from hot skillet. 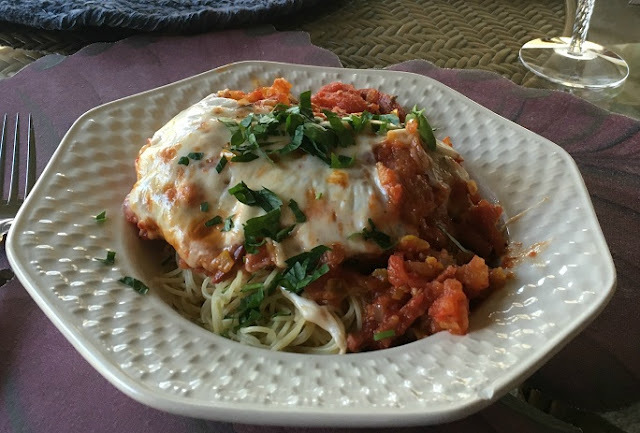 We served it over spaghetti by adding some sauce atop the pasta then topping with the chicken. Wende took the photo with her phone. Everyone really liked it and the Rotel provided more sauce and the nice heat we had omitted by using the sweet verses hot pepper in Rachael’s recipe.